Indigenus, the largest independent global network of healthcare creative agencies, was well represented as the 2012 advertising awards season drew to a close, with multiple agencies within the network claiming honors. NEW YORK, December 17, 2012 – Indigenus, the largest independent global network of healthcare creative agencies, was well represented as the 2012 advertising awards season drew to a close, with multiple agencies within the network claiming honors. Most recently, Insight NZ was named the Direct Category winner at the Global Healthcare Awards with their “Clay Tablet iPad.” They were also the only New Zealand agency to be featured in the competition. Five Indigenus agencies—Insight AU, Insight NZ, PharMa International, Serviceplan Health & Life, and The CementBloc—were named Finalists at the 2012 Globals, which were held in New York City on Thursday, December 6, with a regional partner event hosted in Sydney. Serviceplan Health & Life grabbed a Gold CLIO for their digital entry, “Repay for Good” and were shortlisted in the Design category for a calendar they developed for AOK Health Insurance. The CLIO Awards is the world’s most recognized international awards competition for advertising, design, interactive and communications. Serviceplan Health & Life is part of the Serviceplan group, who were recently ranked as the most creative agency in Germany by W&V, one of Germany’s most relevant trade magazines for marketing and communications. The CementBloc took home multiple honors at the Rx Club Awards this year, including Gold for the “Grow Sole” integrated campaign, a collaboration with the COORE Foundation encouraging people to donate their gently worn shoes for children in developing countries. The “Fight Forward” campaign, an interactive website for patients with advanced breast cancer, took home Silver in the Best Consumer Website and Integrated Campaign categories. Sorrento Healthcare was awarded Gold for their poster “Eternal Bonds”, designed for Abbot Healthcare. The campaigns were showcased alongside other award-winning work at the Metropolitan Pavilion in New York City on November 28. CPC Healthcare Communications, Insight AU, and PharMa International were also recognized by the Rx Club with Awards of Excellence. The win for “Grow Sole” at the Rx Club follows the prestigious Best of Show - Consumer award the campaign received at the 2012 IPA Best of Health awards earlier this year. A complete list of awards won by Indigenus agencies, including those received at the 2012 IPA awards, can be found on the Indigenus website at http://www.indigenus.net/awards. 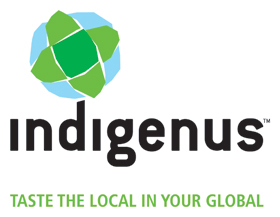 Indigenus Global Network Indigenus is the largest independent global network of healthcare creative agencies. Indigenus was formed in 2004, and became an agency-owned limited liability company (LLC) in 2010. The network provides 100% global coverage, with 15 agencies serving major and emerging markets: the CementBloc (USA), PAN Advertising (UK), umbilical (Spain), Strategik & Numerik (France), Serviceplan Health & Life (Germany), thenewway (Italy), g Healthcare (Turkey), Marketing Latino (Mexico), Sorento Healthcare Communications (India), PharMa International Inc (Japan), Thanks (Brazil), Lindh & Partners (Sweden), Insight (Australia and New Zealand), and CPC Healthcare Communications (Canada). In addition, Indigenus is currently credentialing potential agency partners in China and Ireland. Secondary markets are served by the Worldsourcing Initiative (WIN), which centralizes rollout to drive brand consistency and cost-efficiency. Visit www.indigenus.net to learn more.